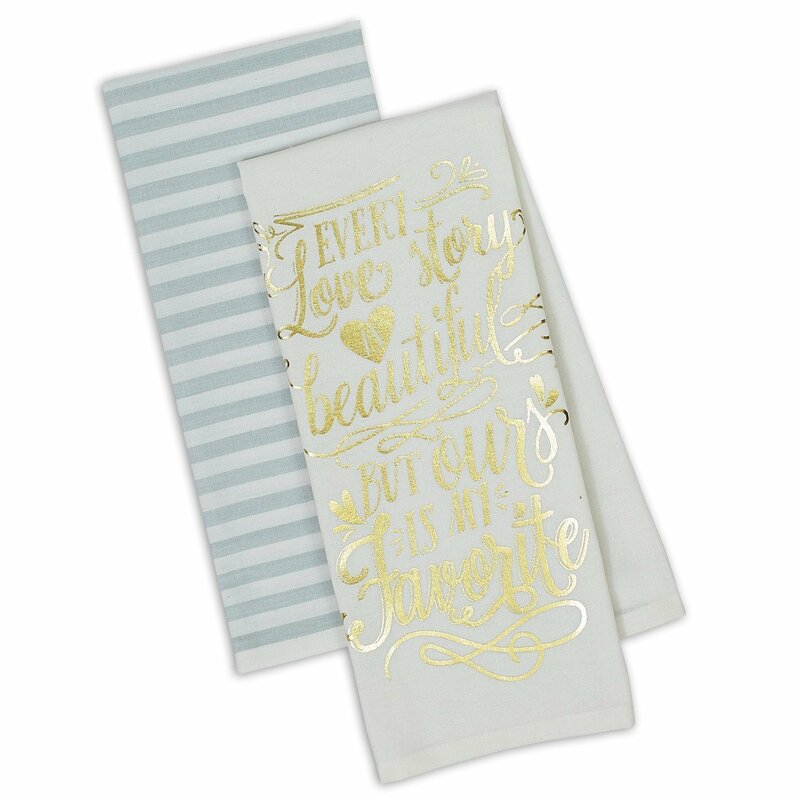 Two piece set contains a white towel with gold metallic print stating Every love story is beautiful but ours is my favorite. Second towel in set is white with blue gray stripes. Perfect gift for the newlyweds or a couple celebrating their anniversary. Dishtowels measures 18 x 28". 100% Cotton. Machine wash cold separately • Gentle cycle • Tumble dry low.